it is dangerous to smoke while pregnant. We all know this, right? As mentioned in the preceding article on obesity and pregnancy, a lot of pregnancies, though happy events, may occur without any planning on the part of the mothers-to-be. In fact, in the UK, as of 2004, about 40% of all pregnancies were unplanned and the number is thought to have increased since then. In the US, about 49% are considered unintended pregnancy. So bearing all this in mind, a lady may be a smoker and discover that she is now pregnant. It may be a happy event but the thought of giving up tobacco smoking when she may feel like throwing up all the time is probably not appealing to her. A lot of women do try and some do succeed and all of these women are to be commended for seeking to put the needs of the unborn child first because as you will read later, there is no doubt of the benefits to the child. Smoking in pregnancy causes up to 5000 miscarriages, 300 peri-natal deaths (death around the time of birth) and 2200 premature births each and every year in the UK. I imagine the numbers are worse in the US as there is a higher population to contend with. If you smoke during pregnancy then you will likely carry on afterwards and so then your child will be more likely to have respiratory infections, asthma, learning difficulties and behavioural problems, as well as a greater likelihood of diabetes and heart disease in later life. Your children are three times more likely to become a teen or young adult smoker, in some cases before they are legally allowed to try. A physician who works with people to help them quit smoking mentioned to me the other day that the youngest patient he had worked with was 8! Who wants that for their child? Your unborn child gets less oxygen because of the carbon monoxide from your cigarette smoke which disrupts the transport of oxygen to your placenta. Also, the toxins from your cigarette smoke pass into your blood and onto the baby through the placenta again. Both of these effects result in impaired growth and development for your baby. Not a great list there of the risks of tobacco smoking in pregnancy, I am sure you can see. You know you have to quit smoking, right? Even stopping in the second trimester results in better health and a better size for your child when born, so better late than never. Use Nicotine replacement products if necessary though you MUST talk it over with your healthcare professional before picking up a box of gum, patches, inhalators, lozenges, nasal sprays. You need someone to make sure your baby is coping well with it. There is a choice for everyone when it comes to starting to quit smoking, so get to it, please. Most people know that smoking while pregnant is a bad idea but knowing it and quitting smoking are two different things. It is a very important issue as yes, it involves two lives; One of whom has no choice in the matter. 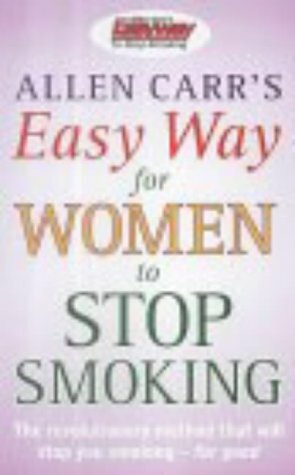 Just hoping to encourage moms-to-be to try again to stop smoking. Smoking is bad habit, no matter are you pregnant or not. But in this case, you are not killing just yourself, but you are killing your baby too. Great article on very important subject!